The review’s live over at Tor.com. It’s got an interesting couple of first chapters. 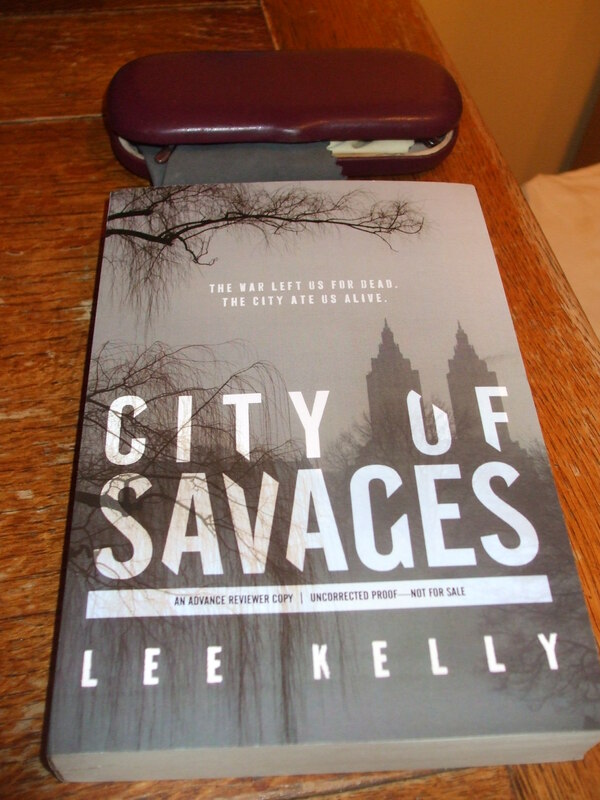 Courtesy of Saga Press, Lee Kelly’s debut, CITY OF SAVAGES. And since I can nominate, I thought I should share the list of things I mean to nominate. 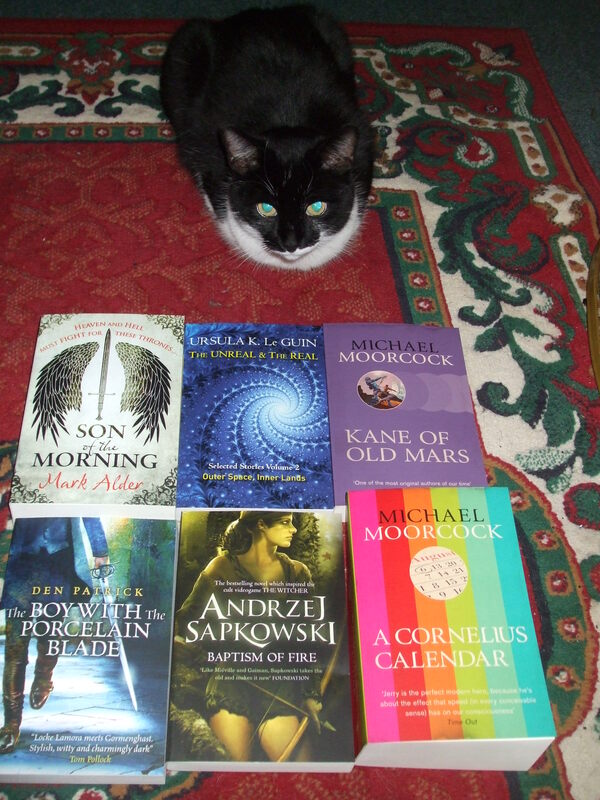 And ask for recommendations, because I’m pretty thin with regard to some categories. I don’t think I read a novella last year. Recs? “The Devil in America” by Kai Ashante Wilson at Tor.com. …I realise that’s heavy on Tor.com. Also, I didn’t read a lot of short fiction, and longer short fiction I read even less. Other recs? G. Willow Wilson, Ms Marvel Vol. 1: No Normal. Gail Simone, Red Sonja: Queen of Plagues. …didn’t really see a bunch of things. Going to try to see Snowpiercer, though. Category is opaque to me. Will not be nominating. Who should I nominate? Jonathan Strahan, maybe? 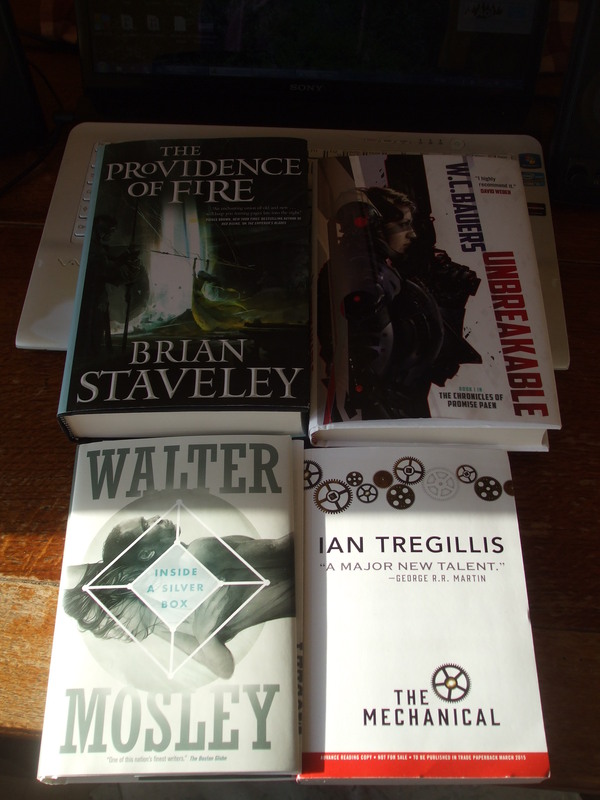 I haven’t really been reading widely this year. Rec me some people? I’m not really a podcast listener, except in certain specific cases. I don’t know who is eligible. Karina Sumner-Smith? Interesting cover for an epic. 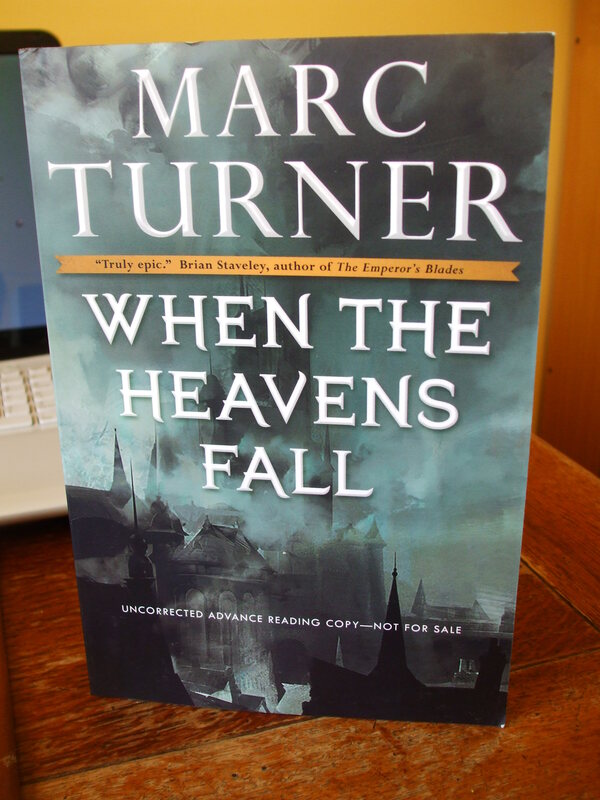 From Tor, Marc Turner’s debut, WHEN THE HEAVENS FALL. I haven’t been writing a lot here in the last several months. Among other things, I’ve been in the final throes of a PhD. I’m not sure when that will change. 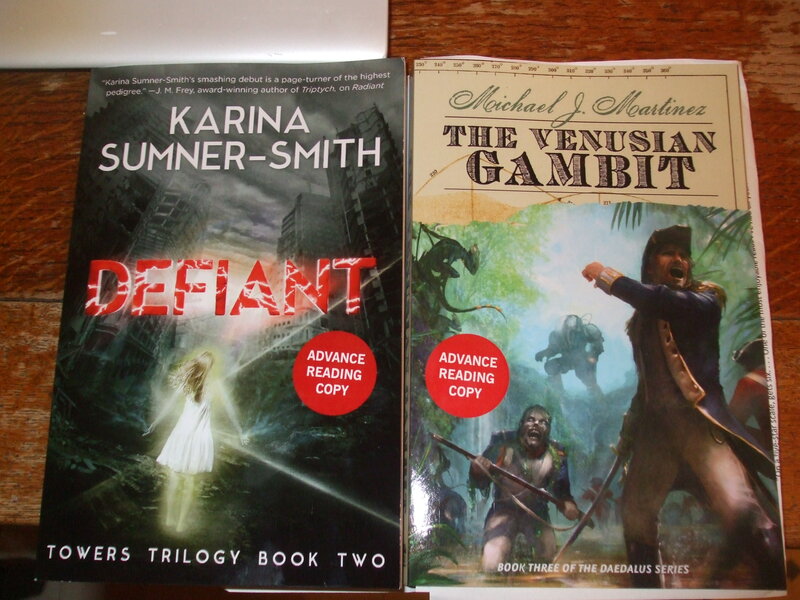 In the meantime, pictures of books! I am terrible at making pictures, yes. 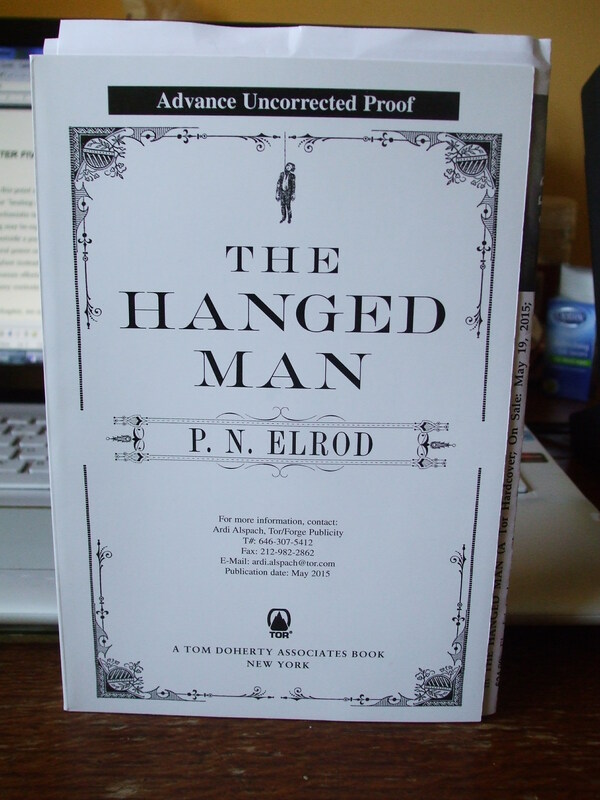 Courtesy of Tor, PN Elrod, THE HANGED MAN.